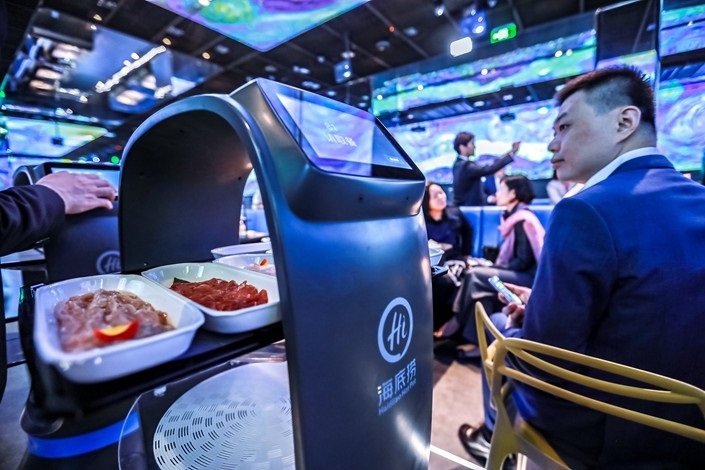 You might not see a human face other than your dining partner at this hotpot restaurant, as Haidilao opens its first fully automated branch with robots doing all the work. 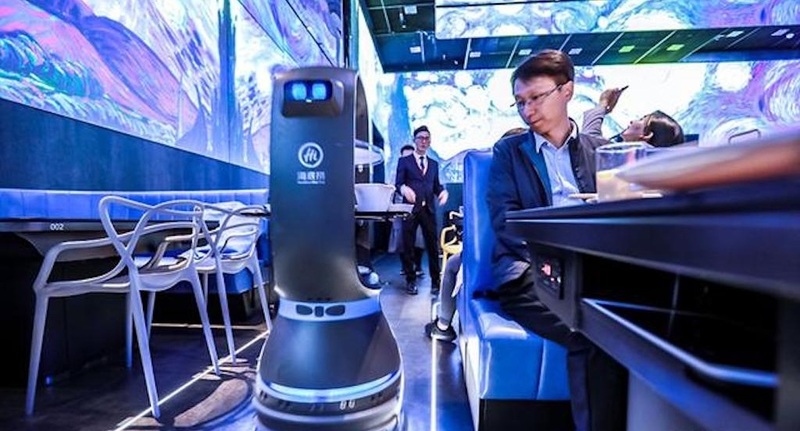 The popular Chinese chain has teamed up with Japanese technology giant Panasonic for a restaurant in Beijing where robots take orders, prepare, and deliver your dishes. Launched on October 28, the restaurant attaches a radio frequency identification (RFID) to each item, which tells a robotic arm what to pick out when a dish is selected. A robot waiter then wheels the dish over to the table for customers to cook in the pot. The system also allows customers to personalize their soup base precisely and remembers their preference when they come into the restaurant again. According to Haidilao, automation allows them to lower labor costs and improve efficiency, and eventually meet its goal of opening over 5,000 restaurants worldwide. The chain currently has more than 360 locations around the globe, including the US, Japan, and Singapore. 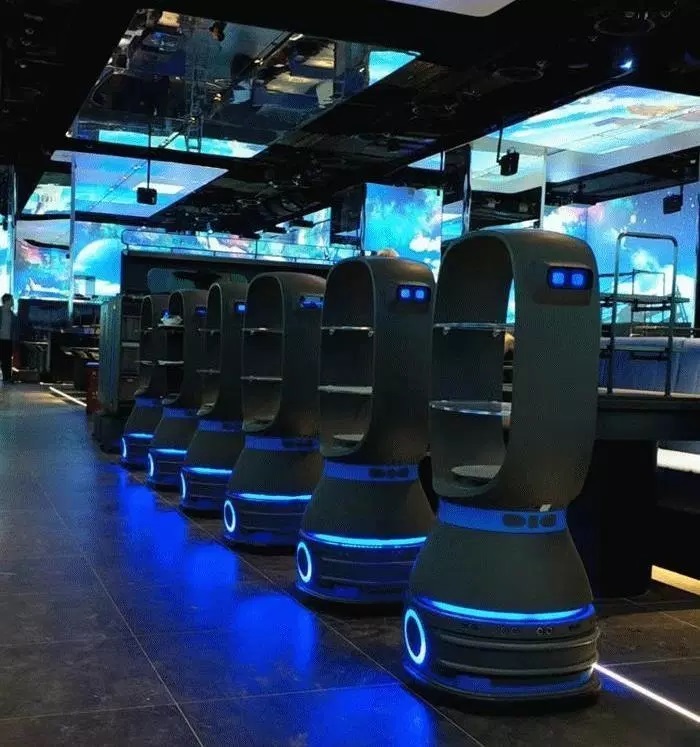 They’re not alone though; earlier this year, Alibaba opened its first robotic restaurant in Shanghai that automates the process from seating to service. 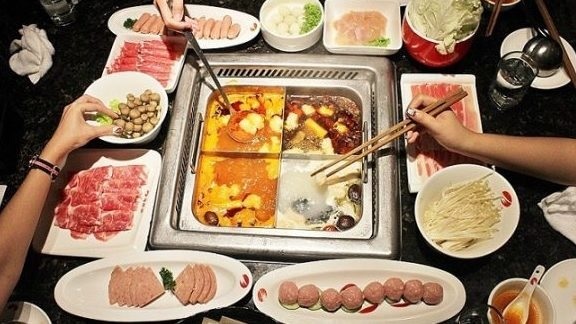 For Haidilao, they plan to perfect its robotic restaurant in China before opening the first overseas branch in Singapore.